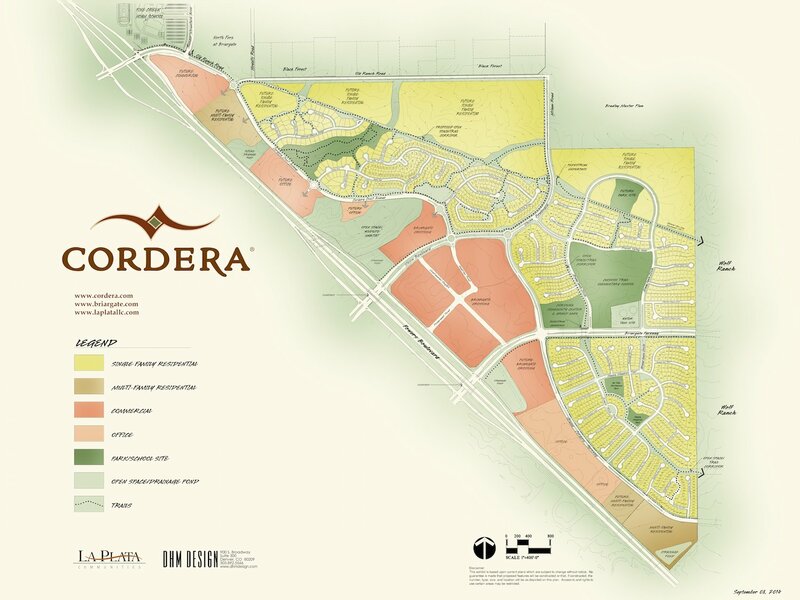 The Cordera Master Planned Community expands from Powers in the east to Old Ranch Rd/Black Forest north. 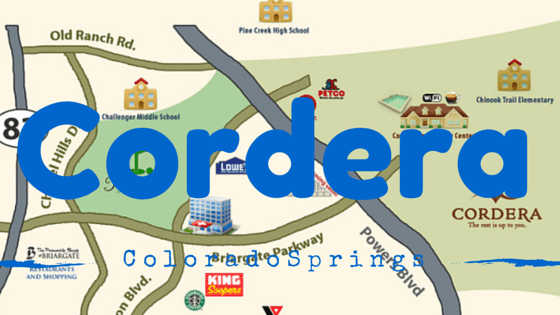 Cordera is a Master Planned Community in northeast Colorado Springs. It is thoughtfully designed to offer excellent amenities such as an extensive trail system, cul-de-sac streets, storybook-themed parks, the Grand Lawn Park, a top-notch landscaping program, high architectural standards, and the state-of-the-art Community Center! Briargate is the largest residential community and basically has become its own part of town. When in 1982 the planning and building began, Briargate had become one of the most desired area in Colorado Springs. Though each Colorado Springs residential community offers and stands out for its own unique qualities, Briargate has become one of the largest and fastest growing areas in the northeast section of Colorado Springs, encompassing more than 9,600 acres and establishing itself as one of the most viable residential areas in our community. Outstanding schools, wonderful shopping and great proximity to military installations and over 120 miles of arterial streets contributed to its success. In the past 25 years included the construction of: Briargate Parkway, Union Boulevard, Austin Bluffs Parkway and Lexington Drive north of Woodmen, Briargate Boulevard, Chapel Hills Drive, Research Parkway, and of course Powers Boulevard from Woodmen to Briargate Parkway. These are all streets that you will become very familiar with regardless where you live in Colorado Springs. Every street is a cul-de-sac street designed with safety, aesthetics and quality of life in mind. Many residents view their cul-de-sac as a mini community, providing more interaction with their neighbors and giving them the opportunity to build valued relationships. Colorado Springs is one of the greenest cities in the nation and we are planning to remain this way. Cordera contributes to this plan with over 50 acres of open space, trails and an additional four themed play parks exceeding 15 acres, Cordera is working hard to promote an environment of active learning, imagination, and fitness that will further enrich the lives of our residents. The architectural designs in Cordera are literally inspired by some of Colorado Springs’ most extraordinary homes from the early 1900’s. 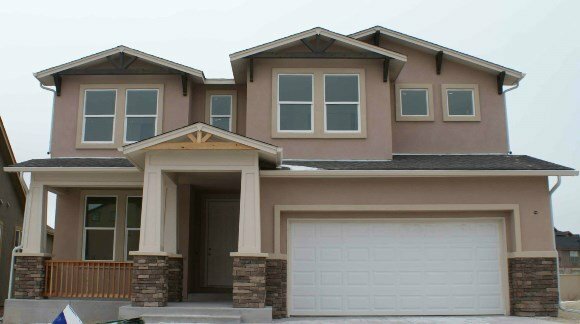 With exceptional architectural details and individual color palettes, the homes in Cordera maintain a traditional sense, while offering the uniqueness and variety residents demand in a new community. Complete with a heated outdoor pool, a fitness room and meeting rooms, Cordera’s Community Center and Grand Lawn have been designed to be the social epicenter, bringing the community together to have fun, get fit, be informed, and create lasting memories. Neighborhoods are designed to conform to the land and its natural features providing interesting and varied streetscapes. Each cul-de-sac features a different type of tree, giving the community a unique look and feel throughout. Plus, engaging family-friendly events, programs and parties are offered by outstanding organizations like the YMCA and Imagination Celebration. 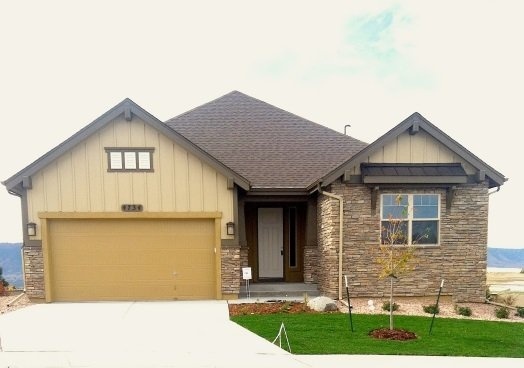 Looking for a home in Cordera? 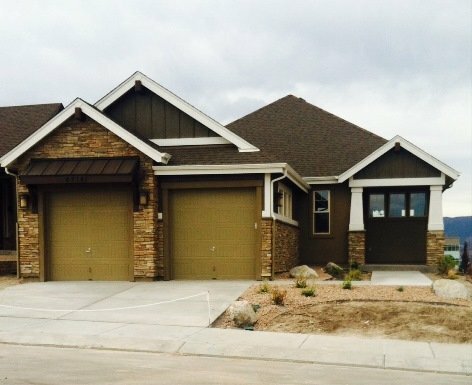 Interested in finding homes for sale in the Cordera neighborhood of Colorado Springs? Call or text me 719-321-0800 to receive the latest listings of existing homes and updated lists of lots available and homes available that are under construction. To get a quick look click here. What’s Going on Nearby the Cordera Neighborhood? Cordera is located in North Colorado Springs. There are two major hospitals less than 6 miles from the neighborhood as well as just about every kind of conceivable shopping within a short driving distance. The Promenade Shops at Briargate is just down the street as well as Regal Interquest Stadium or for more family fun visit Brunswick Bowling Alleys or take advantage of a great YMCA. Chapels Hill Mall for shopping. There are several fine dining establishments such as Salsa Brava Mexican Grill or for some great yogurt why not try Lulu’s Yogurt? One of the largest movie theaters are just a few miles down the road: The state-of-theation Center. More details right here. Cordera is located in renowned Academy School District 20 its elementary school Chinook Trail Elementary School within the Cordera community, with a stellar rating of 10 and a parent rating of 4 stars. Do you have kids that are ready for Middle school, then they will attend Challenger Middle School just up the road, with a great rating of 8 out of 10. 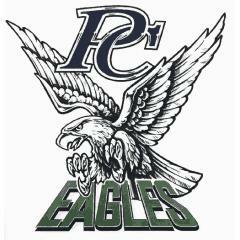 Once your children have successfully mastered and passed middle school, then an outstanding high school like the Pine Creek High School is the next step, again with a greatschool.org rating 8 out of 10. Additionally, Colorado Springs offers a Choice in Program. This means you are not tied to the school district you live in and you can choose other schools, as long as there is space available. Only living IN the school district and within the service area of a particular school guarantees you a spot. You will have to adhere to a choice in window.